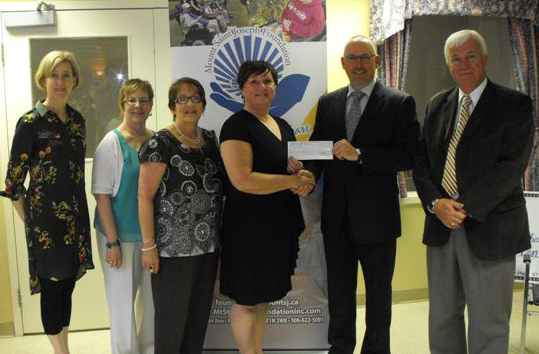 Beaubear Credit Union (Miramichi, NB) is pleased to announce that they are one of this year’s recipients of a Concentra Financial emPOWERING Your Communities $10,000 donation. In March, Concentra asked credit unions to submit their proposals for a local project that is being led or championed by their credit union. The criteria that each initiative must embody the co-operative values and demonstrate credit union leadership within the community was evident in each of the 60 submissions received. Beaubear Credit Union submitted an application to support Mount St Joseph Nursing Home’s development of a therapeutic space called a Snoezelen Room. This project will provide a therapeutic space in the nursing home that is designed and utilized to promote positive changes in individuals who have cognitive, behavioural and physical impairments. This space will provide sensory stimulation through vision, touch, smell, hearing and taste to enhance the quality of life of the individual in an enabling and failure free atmosphere. The room, while being located in the Mount St Joseph Nursing Home, will be available for use by other organizations that may benefit from this service. Beaubear Credit Union recognizes the importance of developing healthy, vibrant communities and the development of the Snoezelen Room at Mount St Joseph Nursing Home will greatly improve the quality of life for people struggling with cognitive, behavioral and physical impairments.